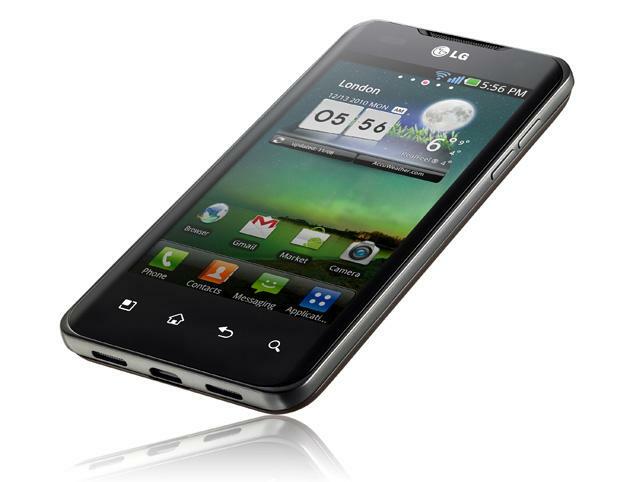 LG took the floor today at CES with their new Tegra 2 handsets, specifically the LG Optimus 2x (Star). With the handset announced earlier this morning, after the announcement LG had some display models out for the Press to have some hands-on time with. Below are a few hands-on videos for your viewing pleasure along with a full press release. Be sure to leave your thoughts in the comments! Las Vegas — CES 2011 ­— Jan. 5, 2011—NVIDIA announced today the arrival of the next wave of super phones, powered by NVIDIA® Tegra™ 2, the world’s first mobile super chip. o For more information and product images, please visit LG’s online press kit at www.lgnewsroom.com/CES2011 . but is it coming to Tmo though? Oh man, this phone looks amazing. I hope they give us a release date soon though. Now, what I’m concern is will LG keep us updated with the software (or are they going to be like samsung). I remember when I said LG is only good at making Washing Machines and Refrigerators… NOW I TAKE IT BACK!!!! They make very good TV too! I don’t own any laundry machines or fridge made by LG. I’m sold from IntoMobile walkthrough, better come to Tmo! Pop in your T-Mobile SIM Card lol. wow dual core is beast. Oh yum.. a large battery not as big as the Atrix.. but 1500 MaH is great. So… forget it.. HSPA+ or not I’d pick this up. It’s cool, but not for me. I need a vanilla Android phone. and yes rumor has it will come to T-mo! phone was kinda laggy when doing the 5 desktop view :|…hopefully its not all like that. any idea when this will be released. Looks damn slick, though I have to say, for a ‘super smooth” dual core powerhouse, the screen seemed to have some hitching here and there. Bit surprised to see that. According to LG’s website a US release date isn’t even mentioned let alone carrier. T-Mobile announced it, that pretty much seals the deal huh? T-Mobile USA? When did they announce it? I do hope we get. David did you ever get a response from T-Mobile about the alleged washed out mytouch 4g screens? David is busy sleeping with a 21 yr old Verizon rep. Calm down Bobert. You come to T-mobile, I buy you. My Nexus one has been yelling at me for a month now telling me that I am out of storage. I’m with you there WD. I have uninstalled the twitter and facebook updates for the built in applications and use Tweetdeck. I also uninstalled Google Goggles since it isn’t used very often. Apps2sd is sweet, but not all the apps I use frequently have that support. This phone would definitely be a great replacement for the N1. I’m not sold on the NS. LOL glad I’m not the only one. I REALLY want to stick with HTC, but qualcomm may have done them in, for the time being anyway. OOOOOOOOOOOOOOOOOOOOOOOOOOOOH! I want. But I said I’d stick to the G line. I wonder what the G3 will have. honestly if tmo get this phone, it will be a miracle. i hope they do get this phone and gain some self respect. the cliq2 is a joke. i dont why they keep accepting the crap of litter, especially from moto. like marcus from the psp commercials says, tmo step your game up. i gotta admit it looked like every other phone but im very impressed with the hdmi full 1080p out to the tv thats pretty incredible for a phone….. im wondering what its battery life is . good job lg no plastic crap like Samsung. Google should have put 2.3 on this phone…Gingerbread w/dual core, this phone would be mine. However since I don’t know how LG treats Android, going to have to wait a bit to see if somebody is coming out with a Gingerbread dual core phone. Are you kidding me? Those other phones have nothing on this phone. This was the best announced phone at CES. I agree! What is he smoking? All he has to do is compare the specs and it is easy to see this blows away any Verizon or at&t device. DAH! This phone rock! I can’t wait to get it. My only complaint is…they went all out with the specs, why didn’t LG make the front facing cam a 5mp or at least a 2mp the can do video call in HD as well. Second, why didn’t they just release it with Android 2.3… Other than that, I LOVE this phone! People will never be satisfied. I dont want to be a complainer but i sure hope this phones screen even comes close to my vibrants. samoled has me spoiled. i look at my friends droid x, htc evo, etc…they all look like crap compared to samoled. the only one that is close is iphone4. love the specs though! Looks great, wish it was more like 4.3 or 4.5 inch though.